Have you ever taken a personality test? My husband and I took one right before we got married. It was eye-opening! It revealed that we were opposites in just about every area possible. It was so enlightening to look over our results together. This semester we gave Curly a personality assessment and we took one too to see where we fell on the scale. We had the chance to review a product from PeopleKeys called the Children’s Profile which is designed to assess the personality type of children. PeopleKeys is a company that provides personality and behavioral assessment tools for people of any age. Their products can be completed to provide a complete analysis of an individual which can be beneficial for companies assessing employees, teachers assessing students, or parents looking to better understand their children’s behaviors and personalities. The programs can be beneficial to understand a person’s natural strengths in communication, learning, thinking or motivations. The assessments help identify the skills and qualities of each individual and can help them better understand their preferences in order to set goals and transition into a career that suits their personalities and strengths. PeopleKeys offers a variety of products such as a Career Style Report, Student Strengths Report, Values Style Workbook, and the Children’s Profile. We received the Children’s Profile which is designed for children ages 9-13 and retails for $15.00. This product includes a short assessment with multiple choice answers for a student to select the response that they would most likely choose in a given situation. 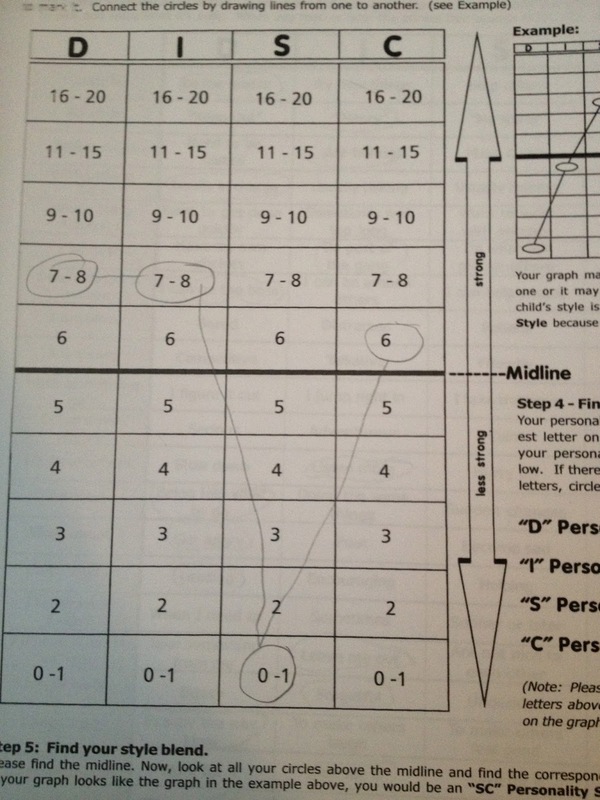 Next is a section for the student to score himself and graph where he falls in each area of the DISC personality profile. 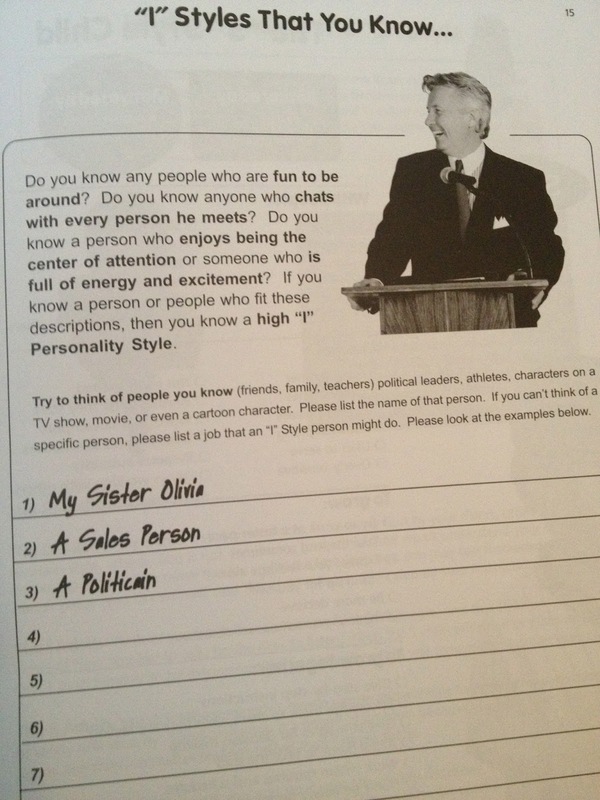 The following sections include information about each personality style with details about people with each personality style, how to work with people that possess that personality style, and how a child with that personality would interact in a family and with adults of each of the various personality types. 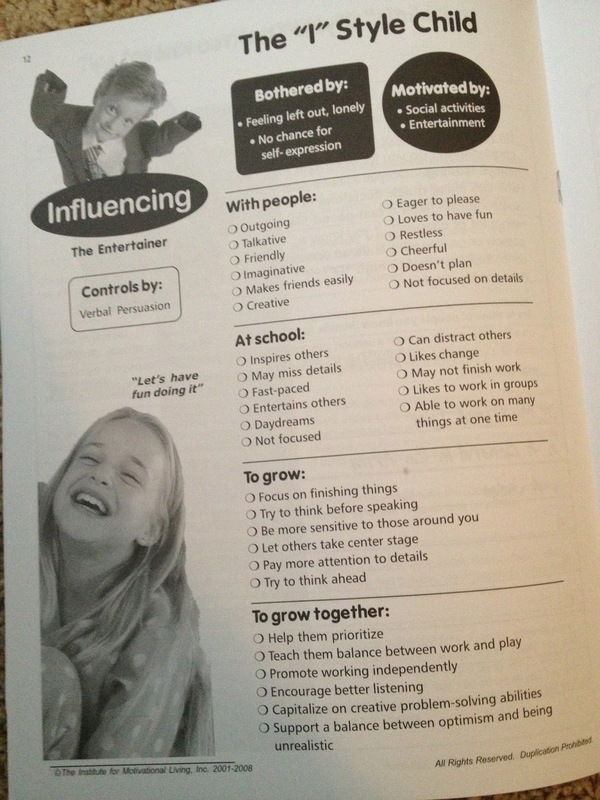 The workbook also included some ways that a child of each personality type would act with other people and at school as well as ways that they can grow and how parents can better interact with them. There were also specific phrases included to encourage a child with each personality type as well as tips for interacting with children of each personality style. I first had Curly take the assessment on her own, circling the response that she felt would be most like her for each situation. Then I helped her score and graph her results. We learned that she is a mixture of the Determined and Influencing styles. Her score for the Conscientious personality type was also high. Her score for the Steadfast style was very low. So, Curly is a blend of the Determined and Influencing styles which means that she is strong-willed, demanding, likes to get things done, impatient, a hard-worker, decisive (the determined style) as well as imaginative and talkative (the influencing styles). I was somewhat surprised with her results as I would have placed her into the Determined and Conscientious personality types and would have thought of her as less of an influencing personality type. It was interesting to see how she views herself and then assess how I viewed her. My husband and I also took the assessments and we scored about where we expected we would based on our tests in the past. I am solidly a mix of the Determined and Conscientious and scored very low in the Influencing category. My husband was a mix of the Influencing and Conscientious styles. In other words, we’re still somewhat opposite but I think we’ve found a happy medium! Curly is a crazy mix of the two of us. I learned that if I said things to her such as “You communicate well” and “I like your enthusiasm” or “I like your confidence” and “You stick to things” that these phrases would help encourage Curly. And I also received some insight into how Curly and I interact since we do have very similar personalities styles. When you put a Determined child against a Determined adult you don’t have very pretty results. The workbook encouraged me to set firm boundaries but be willing to be flexible in some areas while providing choices to Curly. I have seen that this has worked well for her as she needs to feel that she is making some of her own decisions. Nothing! I found this to be a helpful tool and a great introduction to personality styles for children. I loved how easy the assessment was to complete. Curly was able to understand the questions and complete the assessment without my help which allowed her to put in her results without any influence from me. I felt that this gave us more accurate results. The personality styles are explained in very simple and clear terms which are easy for children to understand. My favorite part of the assessment was to read how the adult with each personality style would interact with children of various styles. 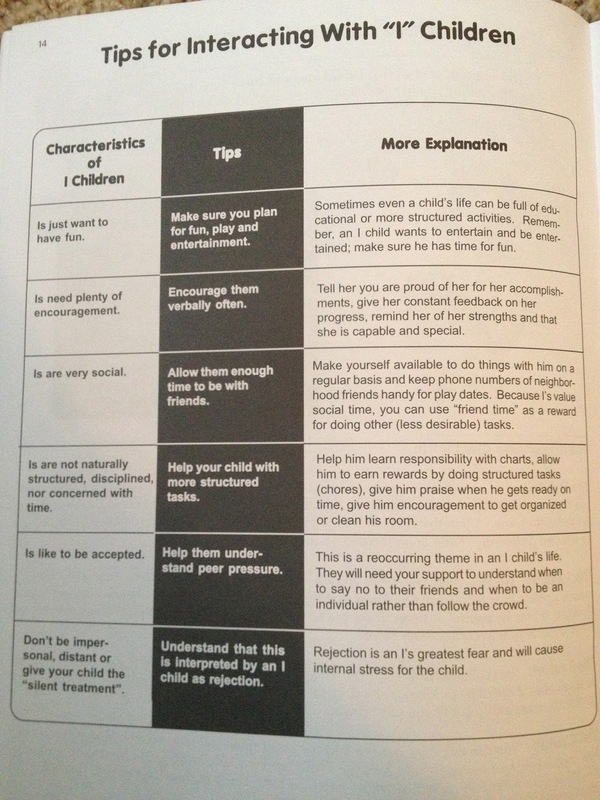 I found this to be incredibly helpful as I navigate how to best parent, discipline, and encourage each of my children who have a broad range of personality types. I found the phrases that could be used to encourage children of each personality type to be very helpful. I have found myself using them and have seen that Curly responds well. I loved the breakdown of the ways that each personality style would interact with others and how they would act at school. This was very accurate and eye-opening. The following section details how we as parents can encourage and support a student with each personality style. For example, Curly’s style needs help to grow to be more patient, to be more aware of the feelings of others, to not be a sore loser, to listen to ideas of others, and be more attentive to details. I’ve always known that there were areas that needed improvement in her attitude and behavior but this list nailed it. Those are the exact things that we need to work on but I wasn’t quite able to articulate them. Now I know where we can focus. 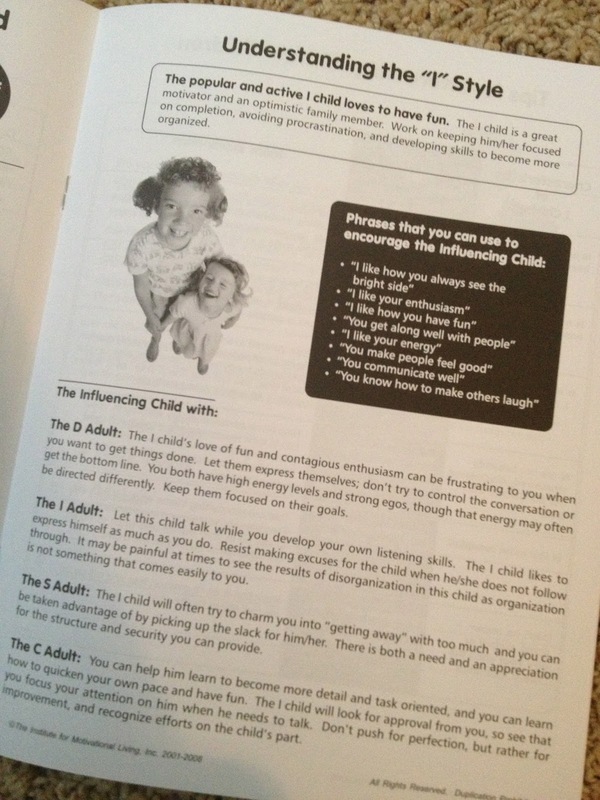 The booklet also provides very specific examples for how to positively interact with children of each personality style. As a Determined style, Curly likes to do things that are tangible and she likes to see tangible results. The booklet suggested that I give her a responsibility chart so she can see what she needs to do and also see her progress. I have created sticker charts and checklists for her. They are working wonders and she’s completing her work and chores independently of me. All she needed was to see her progress! These ideas have been wonderful! We loved this product and had so much fun discussing the various personality types of members of our family. The information was very enlightening as we learned about each other and how to better communicate and interact. The assessment was easy to complete and the ideas in the booklet have been put to good use as we work to communicate well with the blend of personality types in our house. Even though Curly was younger than the recommended age to use this product, we still found that this worked well for us and she was able to use the product in full. This was the perfect introduction to personality types and learning styles and we will be referring to this information for years to come as we embrace Curly’s personality style and teach her how to best use her skills and strengths. 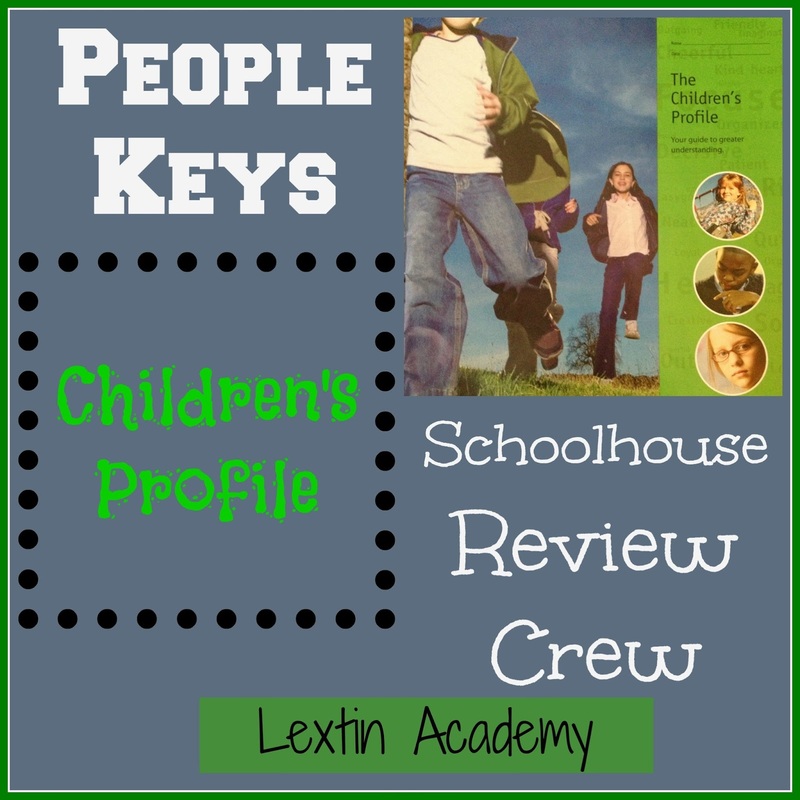 Read other reviews about the People Key products from the Review Crew here!